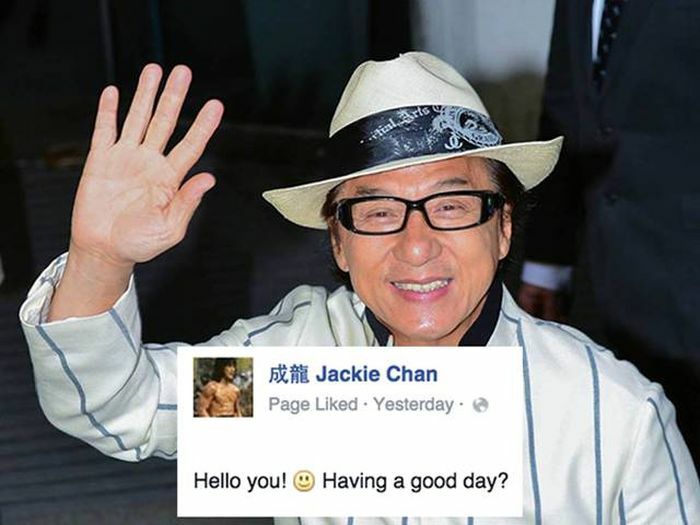 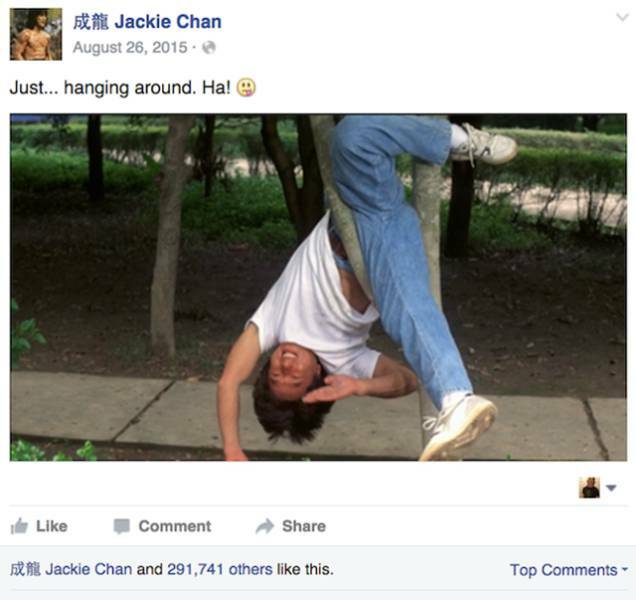 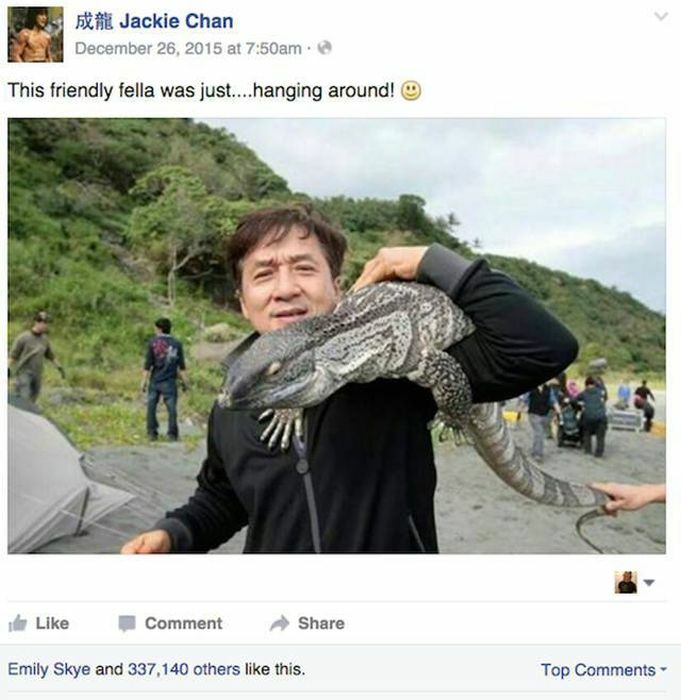 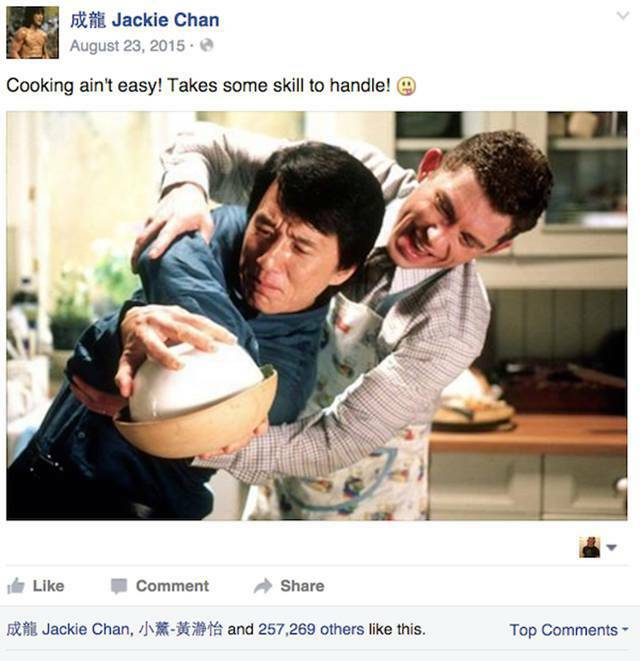 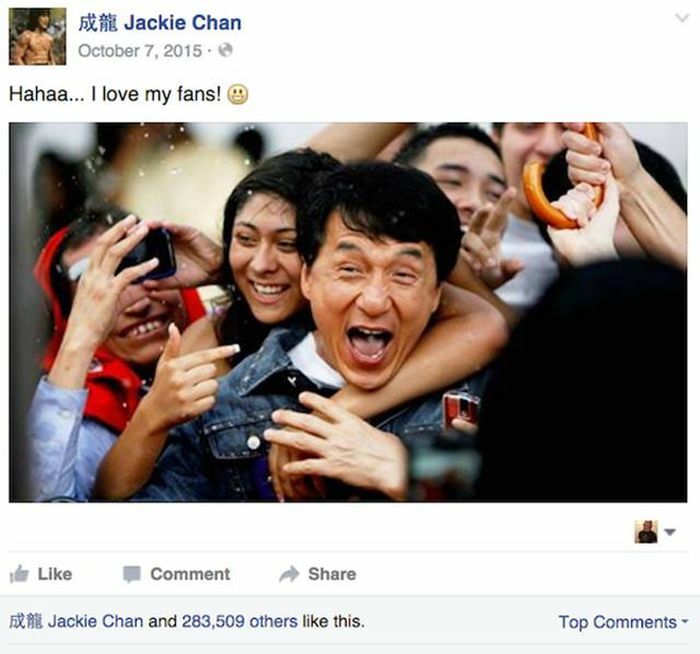 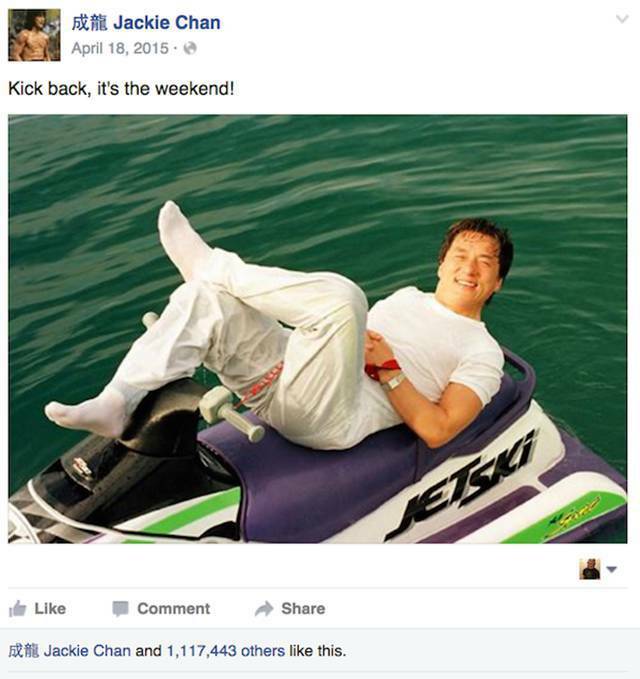 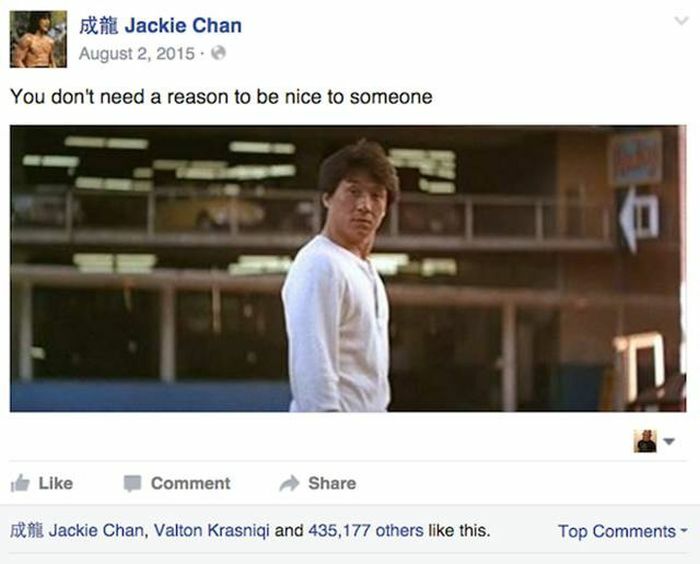 If you haven't liked Jackie Chan's Facebook page yet then you've been missing out. 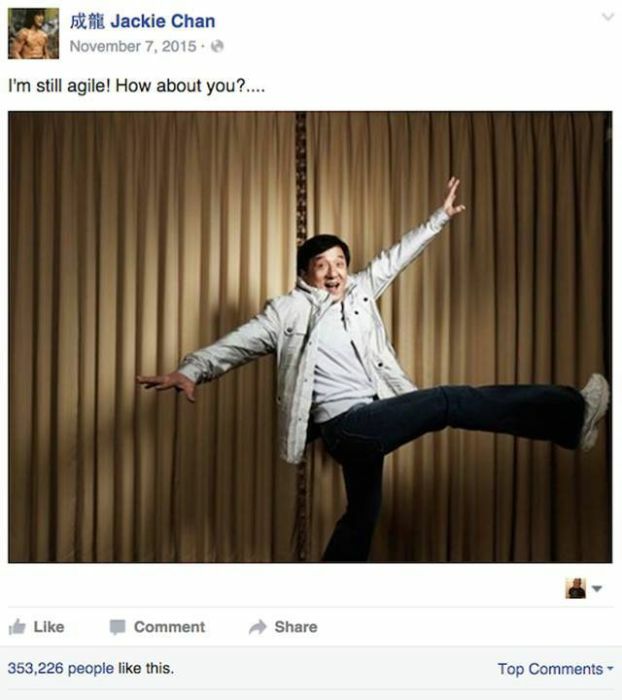 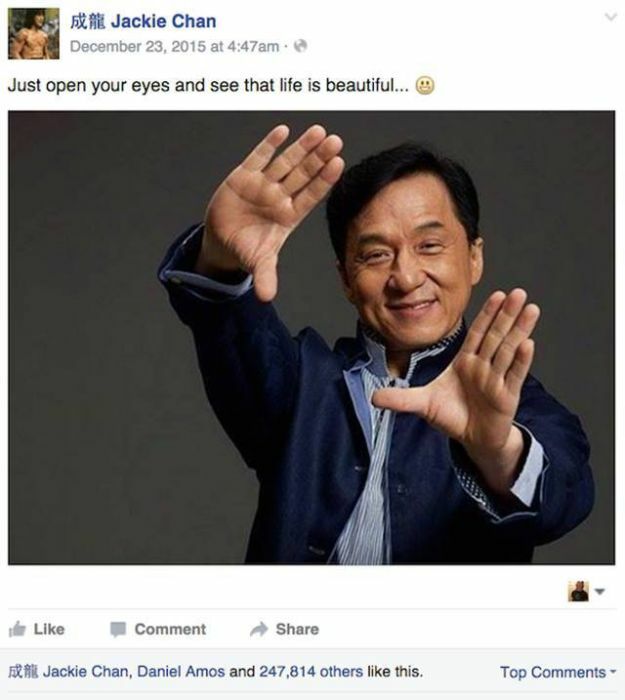 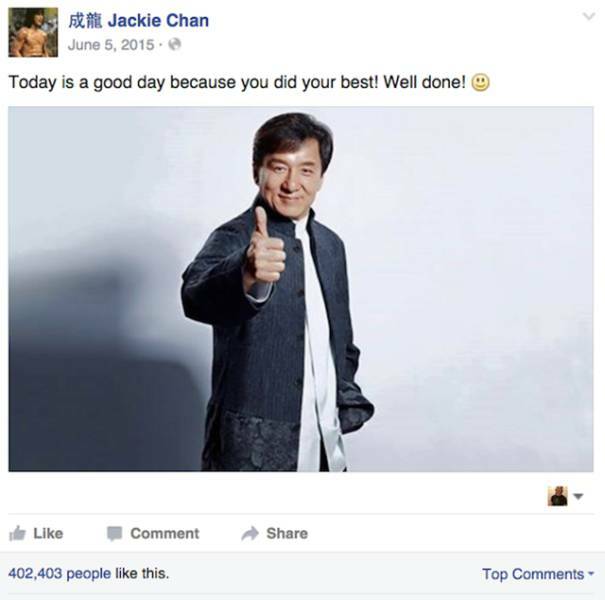 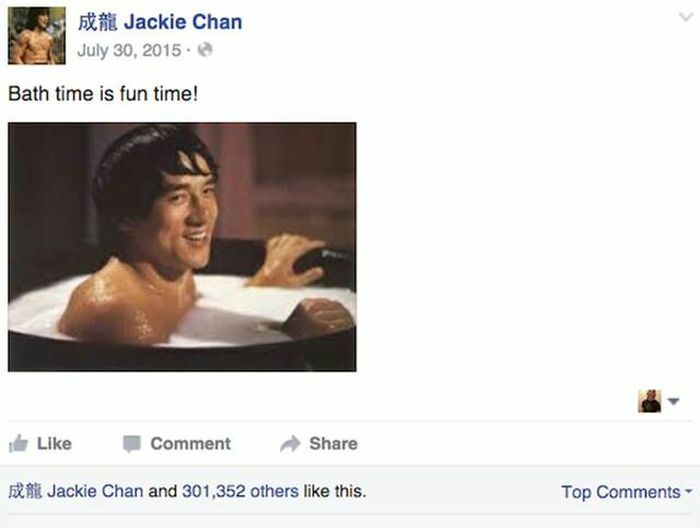 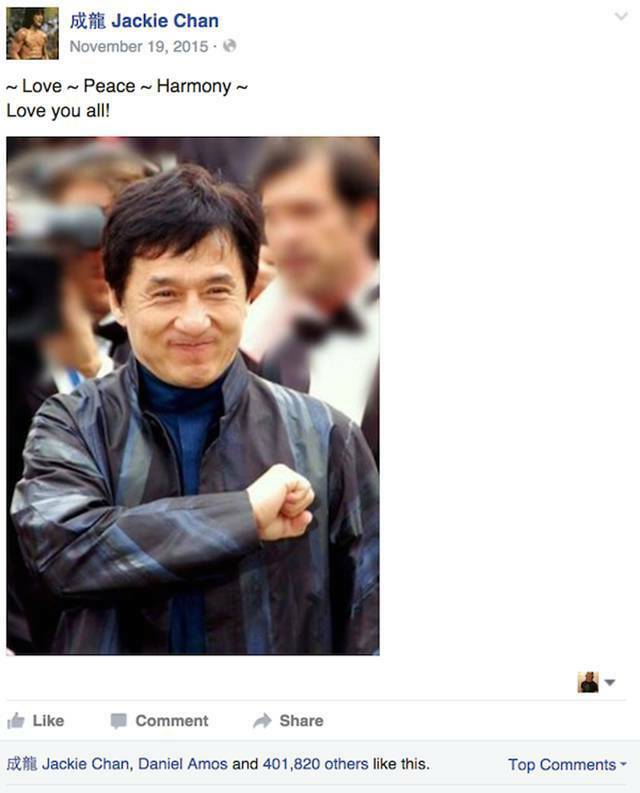 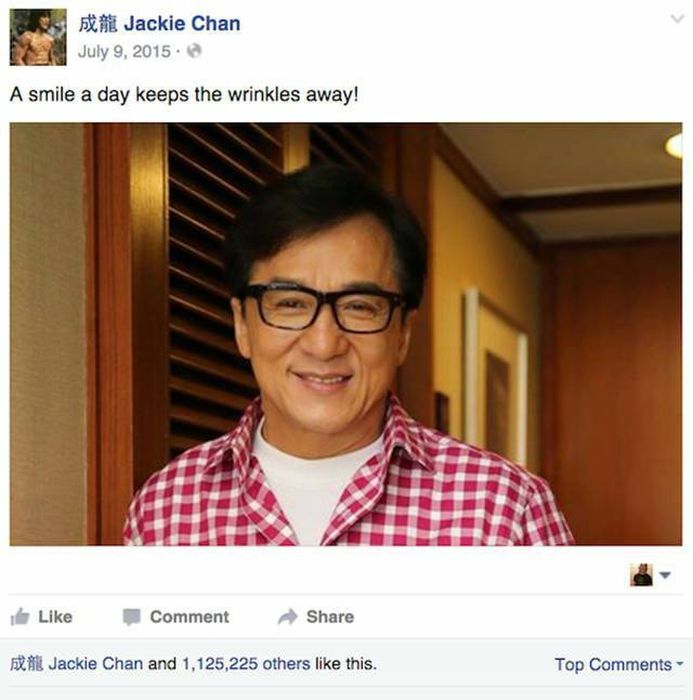 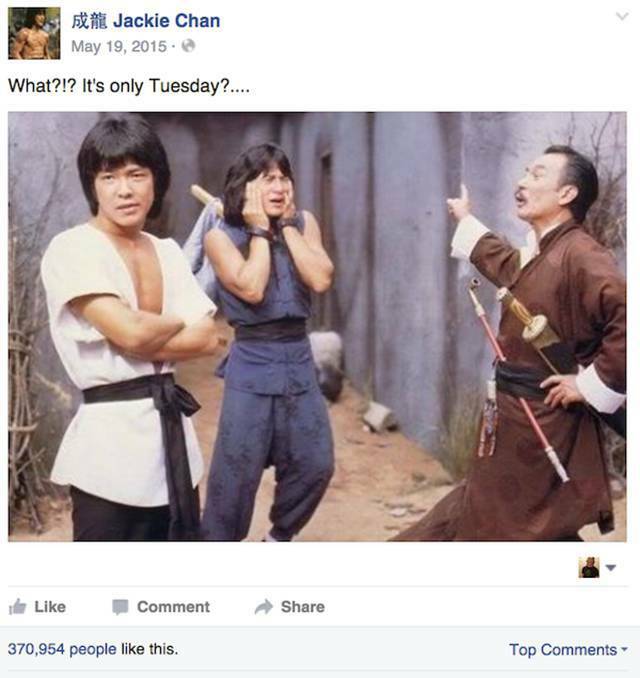 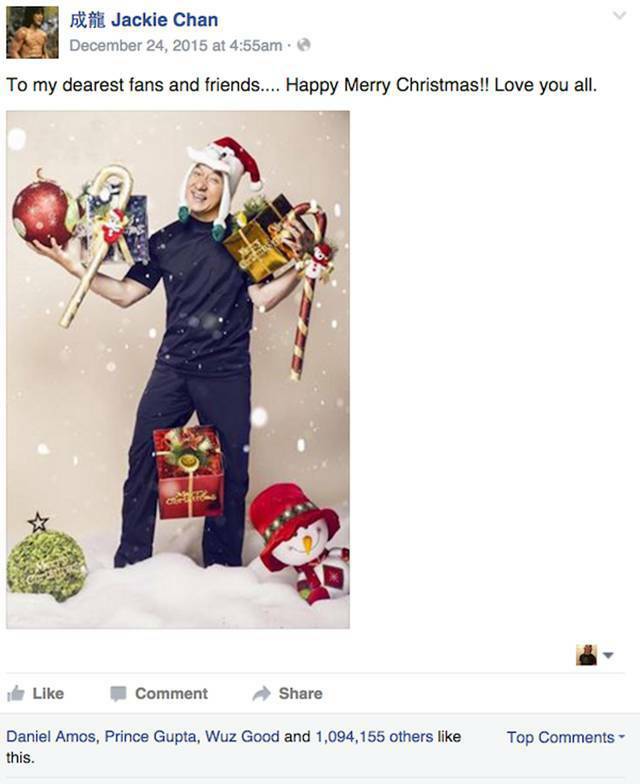 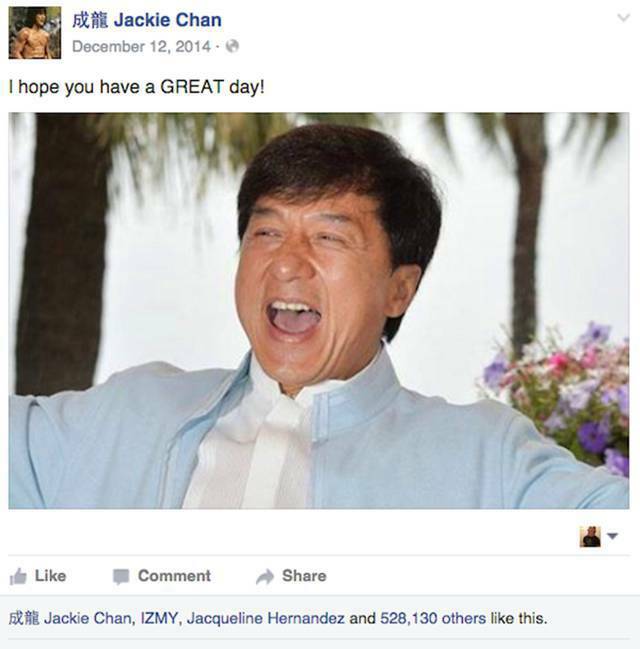 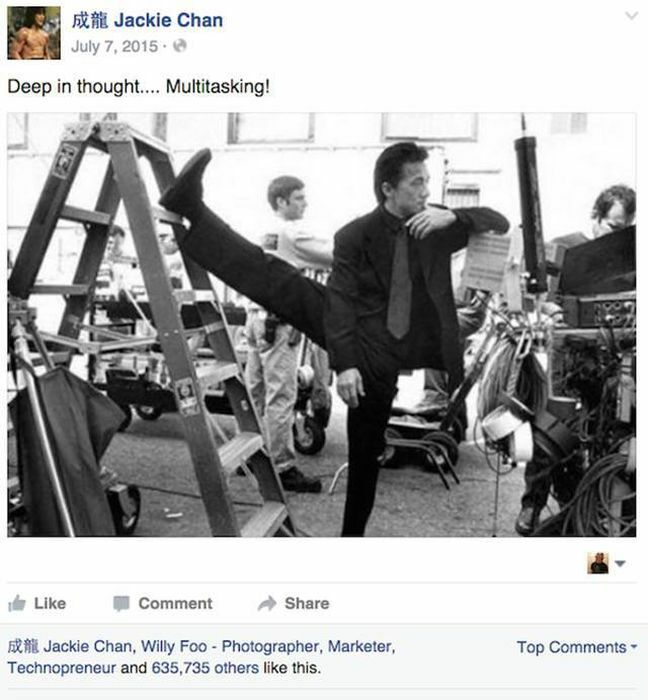 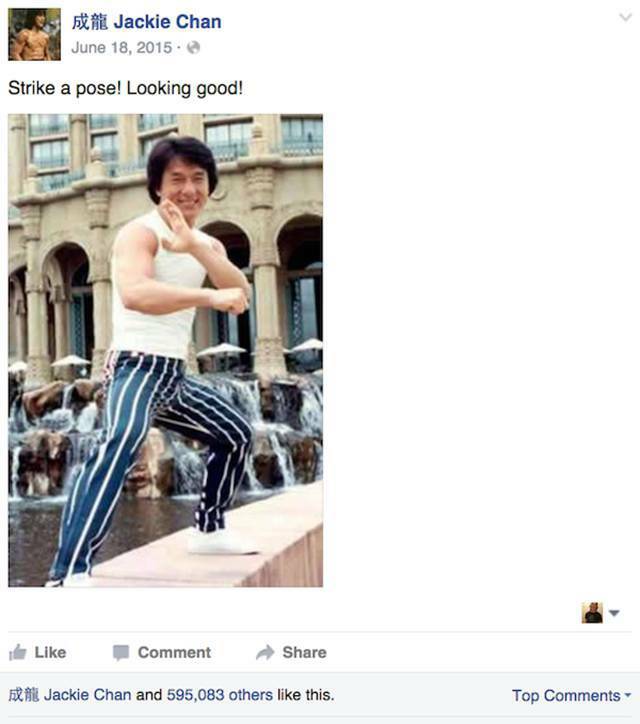 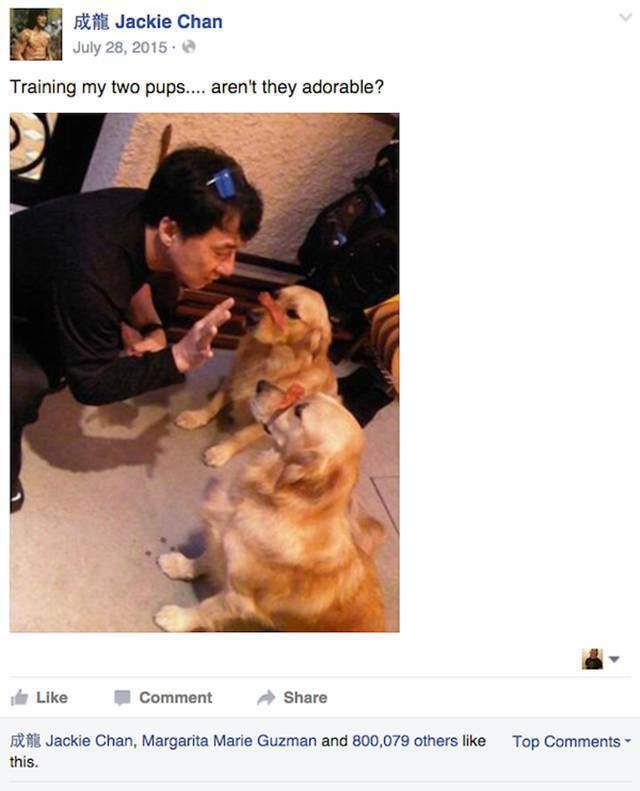 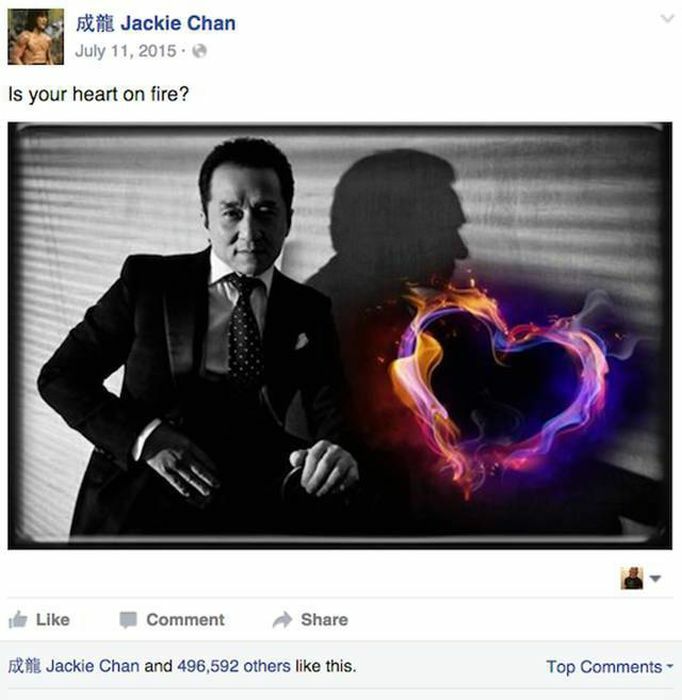 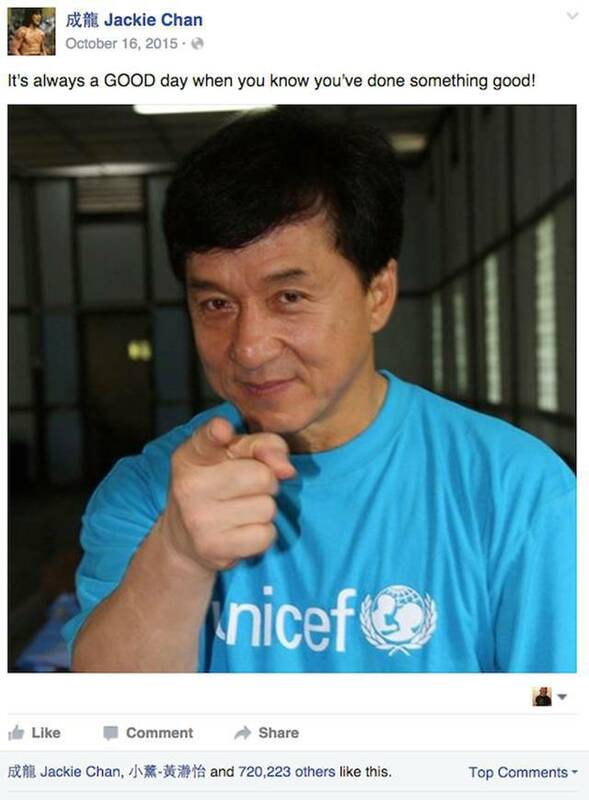 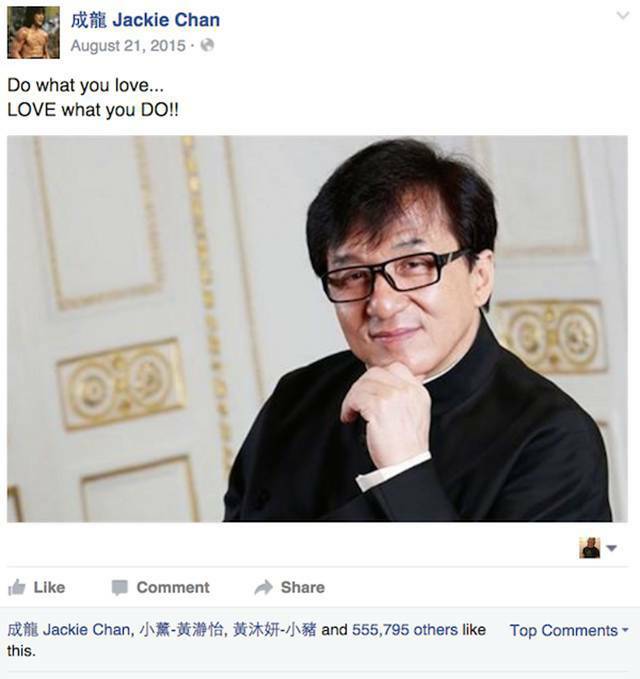 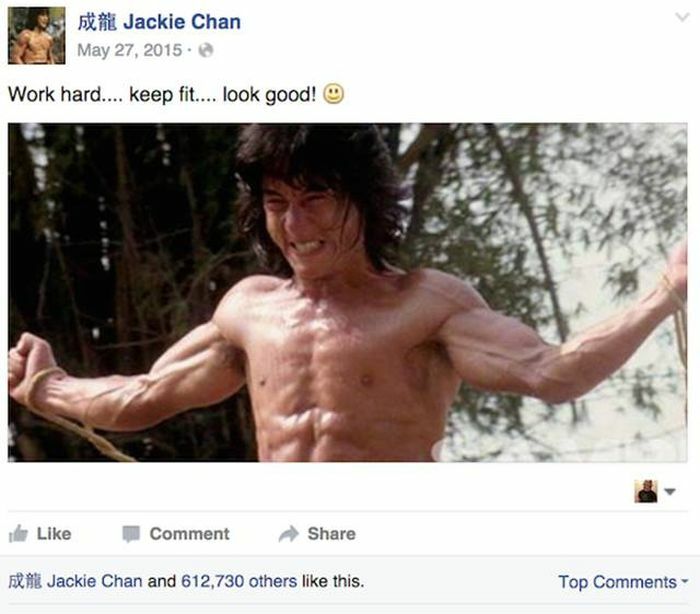 Jackie Chan likes his own status. 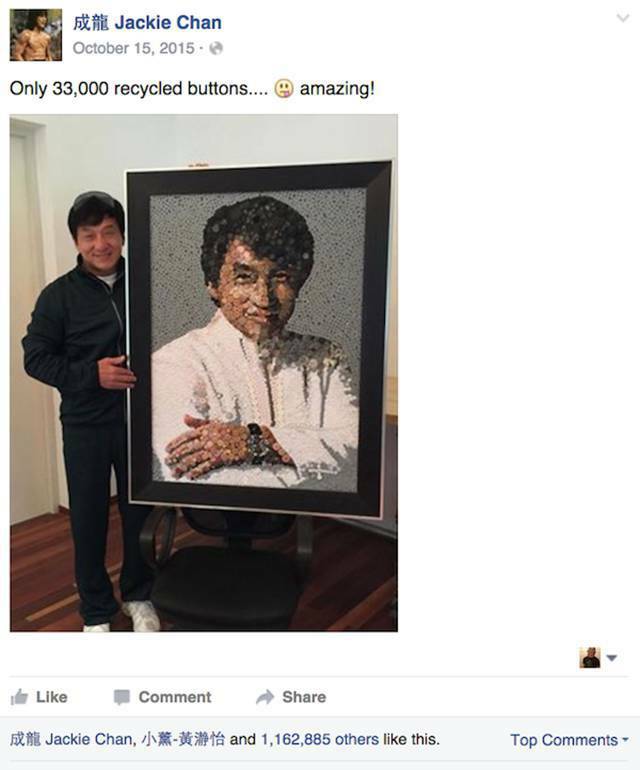 Because 283,508 is not enough.